Crunchyroll - FEATURE: Why It Works: Shadows Over "My Hero Academia"
FEATURE: Why It Works: Shadows Over "My Hero Academia"
Today we'll explore My Hero Academia's shifting thoughts on heroism as the second season begins! Hey all, and welcome back to Why It Works! 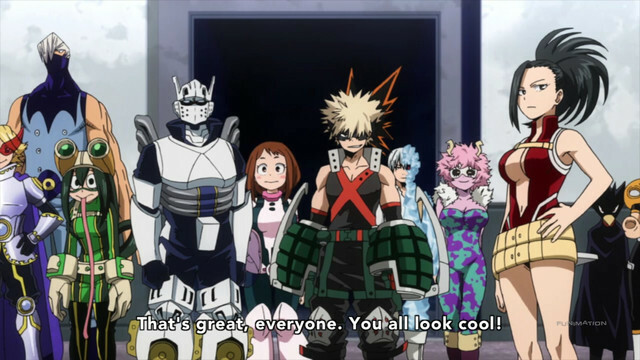 The spring season is at last in full swing now, which means I finally have an excuse to talk about one of my favorite series: My Hero Academia. I’ve read all the original volumes of the material they’ll presumably be adapting this season, and can’t wait to get into the meat of the U.A. 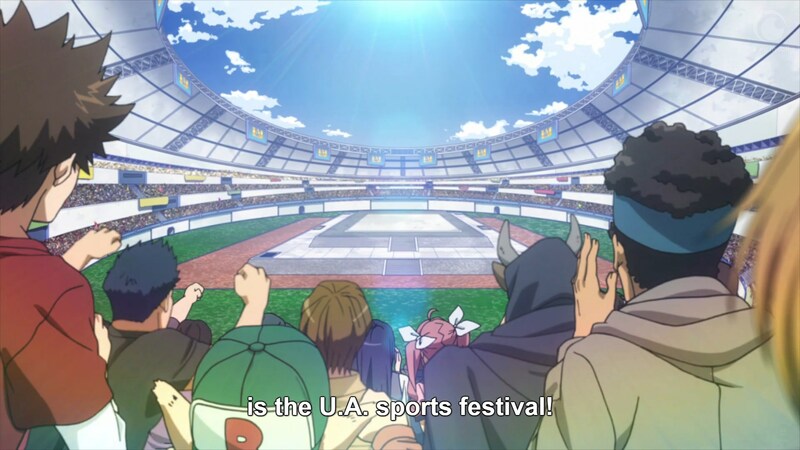 Sports Festival. In my opinion, this arc sets a new standard for the series, offering rousing character work and satisfying action all along the way. But before we can dive into the arc proper, I thought I’d briefly explore the themes of the show so far, and poke at the ways this season’s first episode brings My Hero Academia’s ideas forward. My Hero Academia is, unsurprisingly, a show about heroes. It is also a show that believes in heroes - that finds something powerful in their endless pursuit of justice, and something worth celebrating in all their slogans and pageantry. 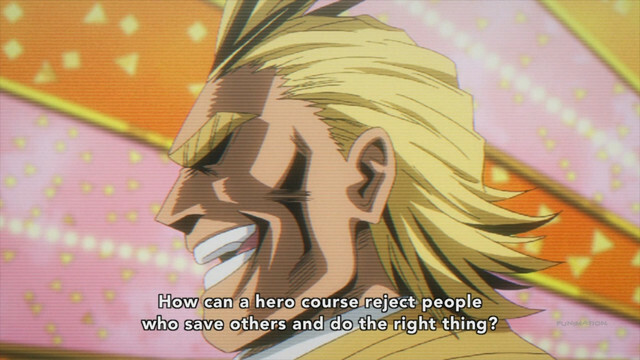 The first season of My Hero Academia emphasized the importance of “performing heroism” through all of its characters, starting with the seemingly unbreakable All Might. In truth, we in the audience knew that All Might was actually just performing strength - that he was always on the edge of losing everything. But the fact that he still played the part of an invincible hero pointed to what the show saw as the true spirit of heroism. 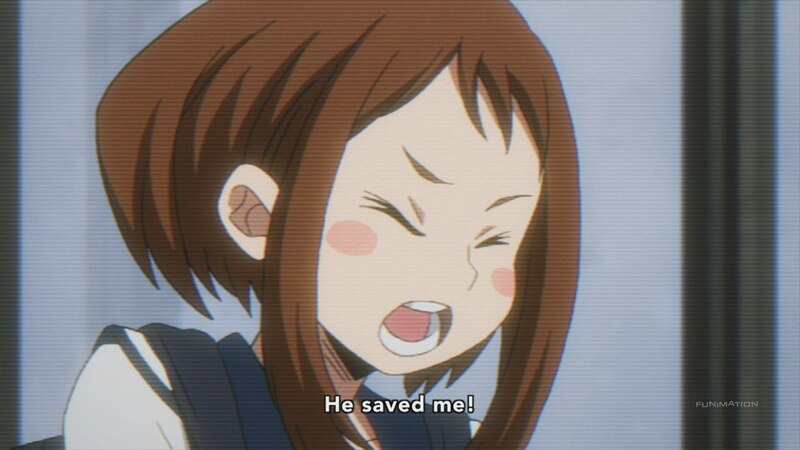 According to My Hero Academia, the fundamental nature of heroism isn’t just saving others, it’s inspiring others to be heroes as well. All Might performs strength because he knows his image is important - he can’t just get the job done, he must make others believe in the power of heroism. Midoriya initially catches All Might’s eye precisely because he inspires All Might to remember the spirit of heroism - and when Midoriya falters in the U.A. placement exam, it’s the fact that he once again inspired another to action that gets him through. The core of heroism resides in a hero’s ability to make others believe in themselves - to pass on their spirit like One For All, on to the next hero down the line. Of course, our lives aren’t solely defined by the people we want to believe in. 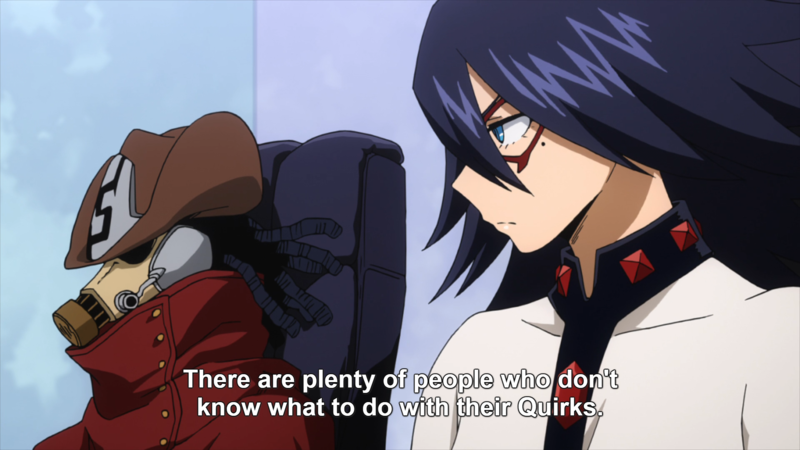 While My Hero Academia’s first season made a firm argument for its definition of heroism, it didn’t really apply that message to the messy, contradictory nature of our own influences. 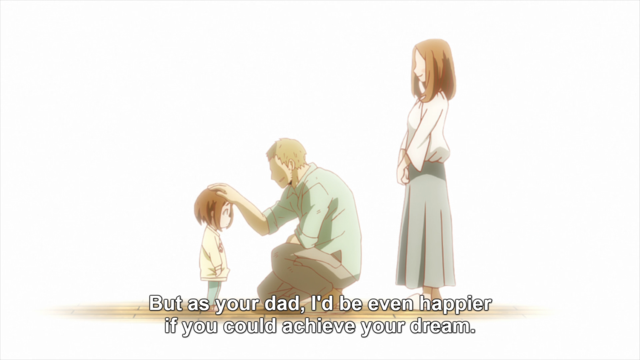 And so in its second season, My Hero Academia addresses that issue, and contrasts the ideal of a hero we can aspire to be with the reality of the people who often define us regardless: our parents and mentors. There’s a sense of urgency tinting My Hero Academia’s generally optimistic spirit from the new season’s very first episode. 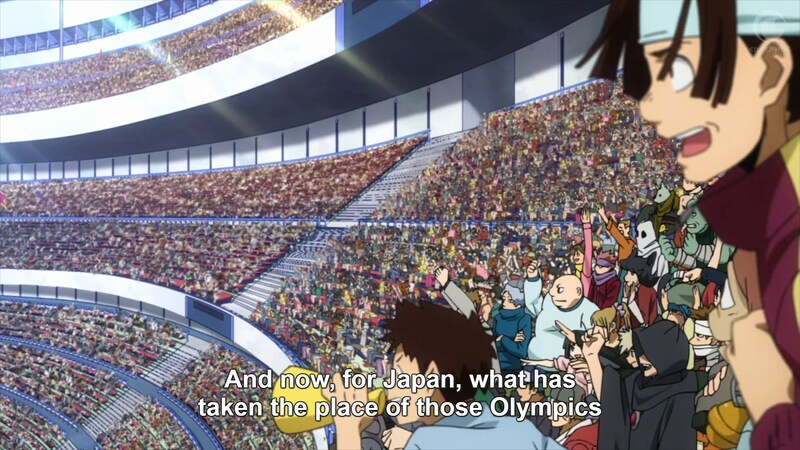 While Eraserhead speaks of the sports festival with pride, the fact that the country’s greatest sports event is a clash of teenagers implies the hope of the country rests on shoulders possibly too young to bear it. 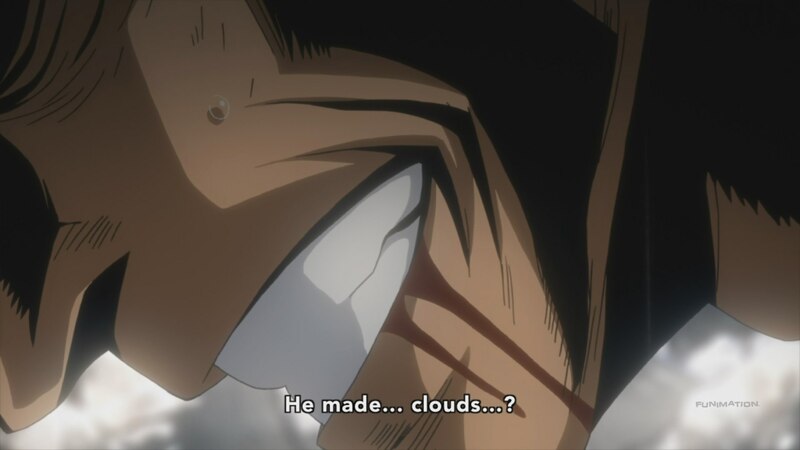 All Might echoes this concern in his words to Midoriya, urging Midoriya to use the festival to announce himself to the world. Though All Might has been a positive influence in Midoriya’s life, he can’t help burdening his apprentice with his own mammoth responsibilities. Midoriya’s tendency to injure himself while using his power seems like a precise reflection of the burden of impossible responsibility his role model has assigned him. Other members of Midoriya’s class are burdened by familial expectations in their own ways. Iida is working to follow in his brother’s footsteps, while Todoroki’s relationship with his famous father seems significantly more ambiguous. 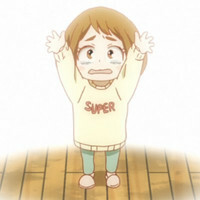 And Uraraka’s family situation seems to dictate the length of her ambitions - having grown up in a relatively poor household, she fights specifically so her parents can have it easier. Being able to choose your heroes and influences is a luxury; we are often defined by the people we can’t choose, and growing into our own selves demands either finding something positive in our influences or breaking away. 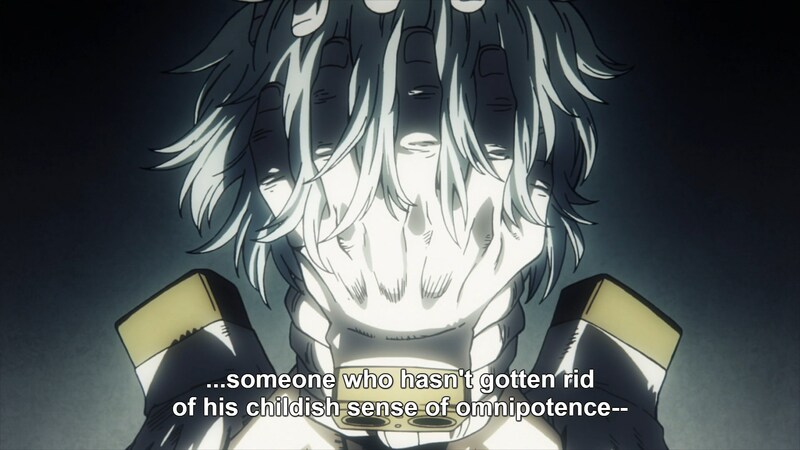 On the far end of the heroic spectrum, Shigaraki presents the danger of a man without role models, one who grew into adulthood without channeling his energy in positive ways. 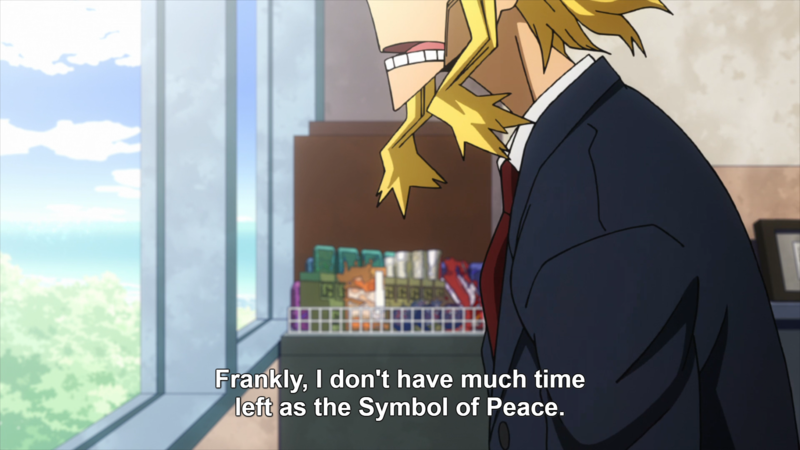 All Might describes Shigaraki specifically as a “man-child,” one who never got over the adolescent entitlement of possessing great potential but no guidance or restraint. The U.A. 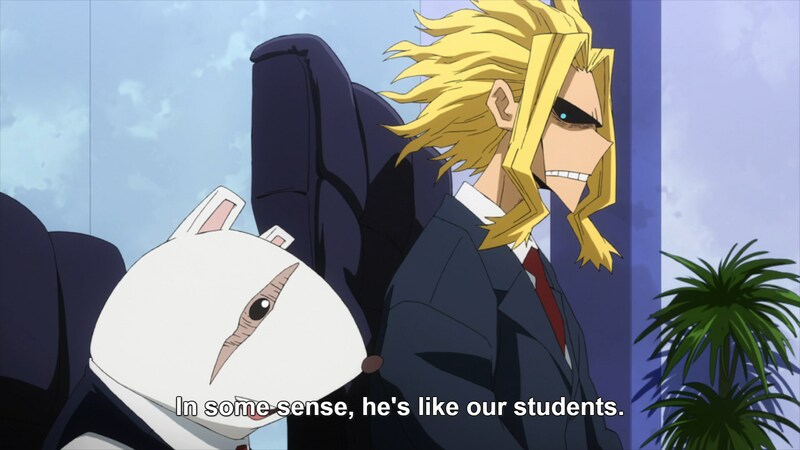 teachers don't see Shigaraki as some ineffable evil - they sees him as a clear result of a sad situation, a potential hero lost because he never found the right guide. To become a hero means to understand that we all have the potential to be Shigaraki inside us, and that our actions can also help others become their best possible selves. 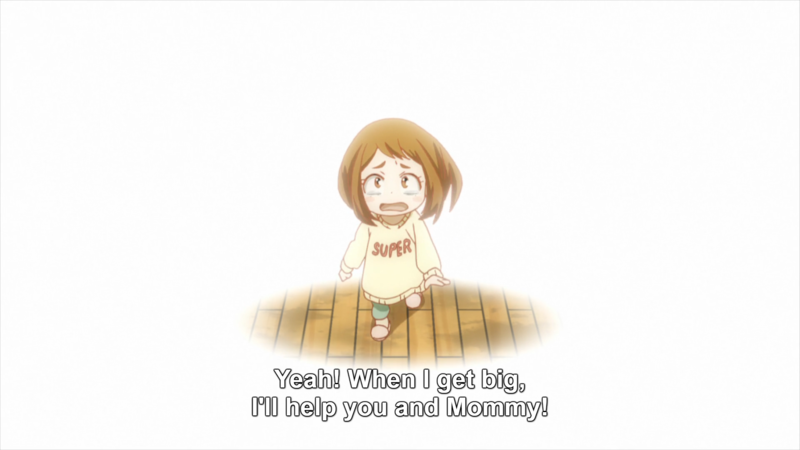 My Hero Academia’s stars stand in the shadow of their parents for better or for worse, but as long as they have each other, they may become heroes yet. Nick Creamer has been writing about cartoons for too many years now, and is always ready to cry about Madoka. You can find more of his work at his blog Wrong Every Time, or follow him on Twitter.